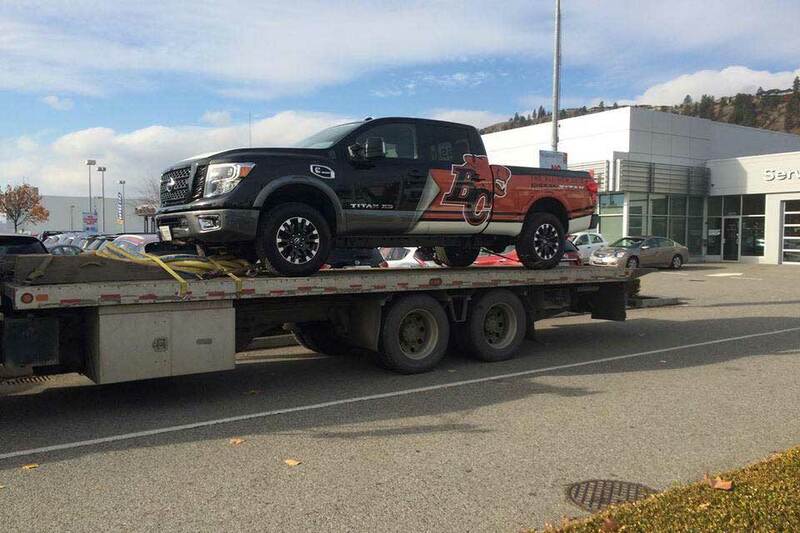 Car-go Towing and Transport Ltd. in Kamloops BC is more than a towing company. We haul freight throughout the entire province of British Columbia. Everything from farm equipment to classic cars! We haul freight throughout the entire region from farm equipment to classic cars. 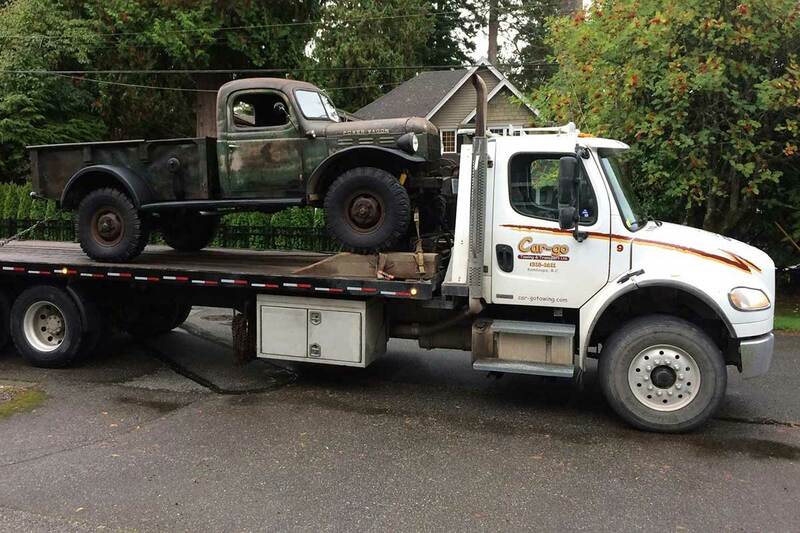 Car-go Towing & Transport Ltd. in Kamloops BC is more than a towing company. We haul freight throughout the entire region in the province of BC, including farm equipment, automobiles and motorcycles, special rocks and lakeside docks. Our fleet of tow trucks ensure fast customer response for all your hauling needs. If you need cargo and freight services, we have a three-car transporter and tandem slide deck for hauling your treasures. We also offer custom hauling services to and from Vancouver with long distance quotes readily available by request. Geographically, the BC interior ranges from semi-arid desert zones to mountainous and forested terrain. Seasonal storms can create hazards for a towing and cargo hauling company like ours, but with experienced drivers and well maintained aggressive equipment, we make sure your cargo arrives at your destination of choice. Our professional tow truck drivers get you to safety, regardless of dangerous weather conditions. The Car-Go Towing Company has been serving the Kamloops region of BC since 2001. As local business owners, we care about our neighbours and the equipment you need to haul. We are known for taking care of the treasures entrusted to our temporary care, and it is our goal to maintain our great reputation as professionals who offer the best customer service available in our industry. PLEASE VIEW OUR GALLERY PAGE FOR PHOTOS OF DIFFERENT CARGO HAULING JOBS WE HAVE DONE FOR FOLKS AROUND THE AREA.